And they know firsthand how fire can endanger their homes and families. 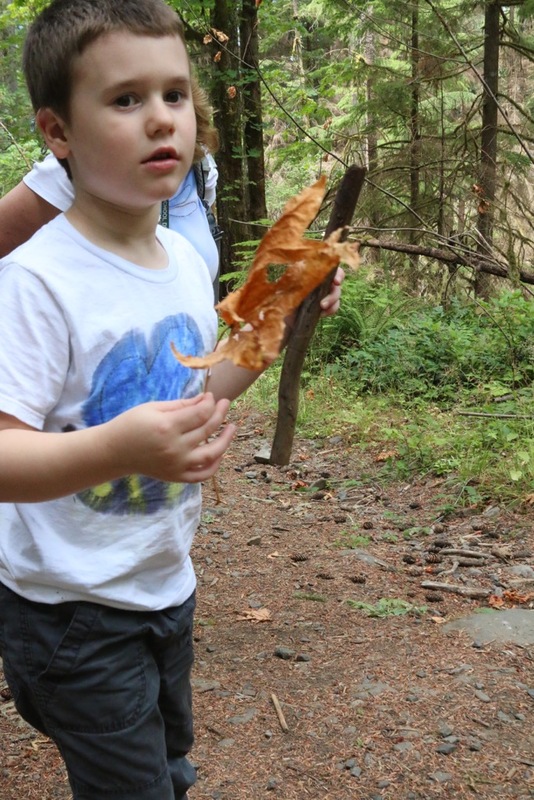 All the children experienced the trauma of last year’s Eagle Creek Fire in the gorge that burned nearly 50,000 acres. They lived through evacuations and uncertainty as smoke and fire became part of their lives for several months. 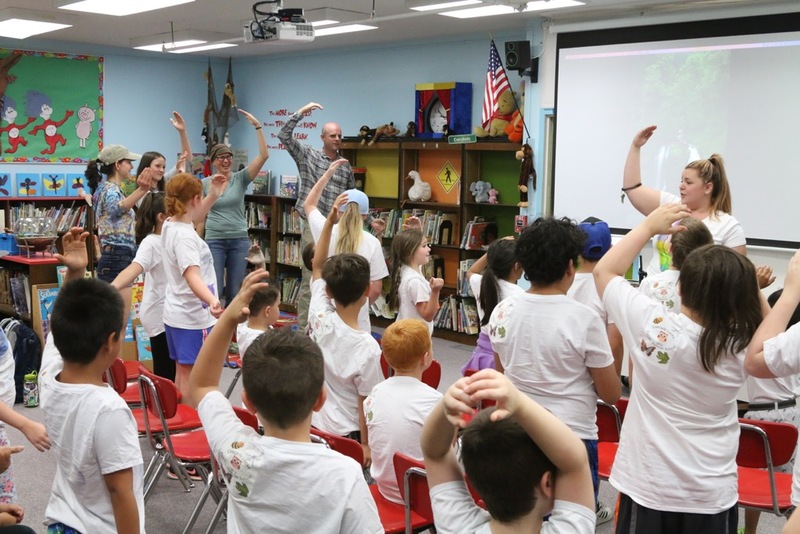 I visited with the class on July 19 with forest advocates who asked these Kindergarten through fifth graders to speak about their experiences during the fire and taught them about how fire is a natural force for renewal in the forest that surrounds their town. 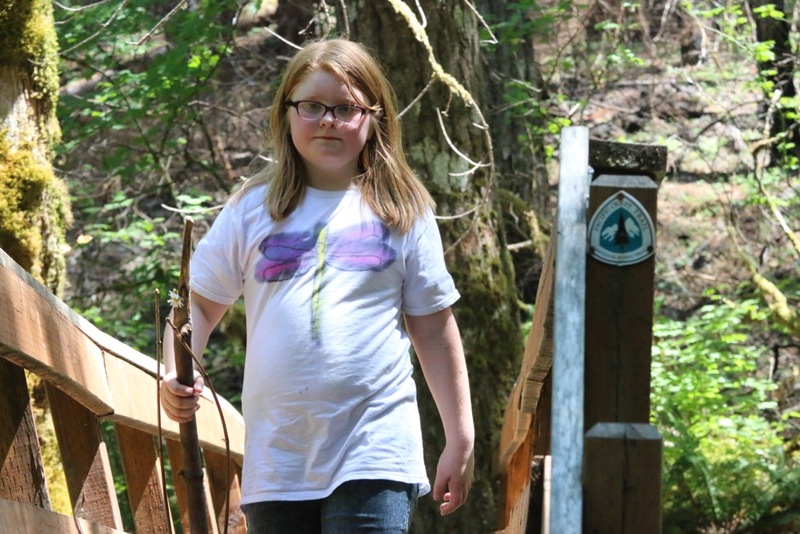 As part of the day, we took a fieldtrip that brought the group to the Pacific Crest Trail. Class and visitors do a mid-morning stretch. Photos by Mark Larabee. 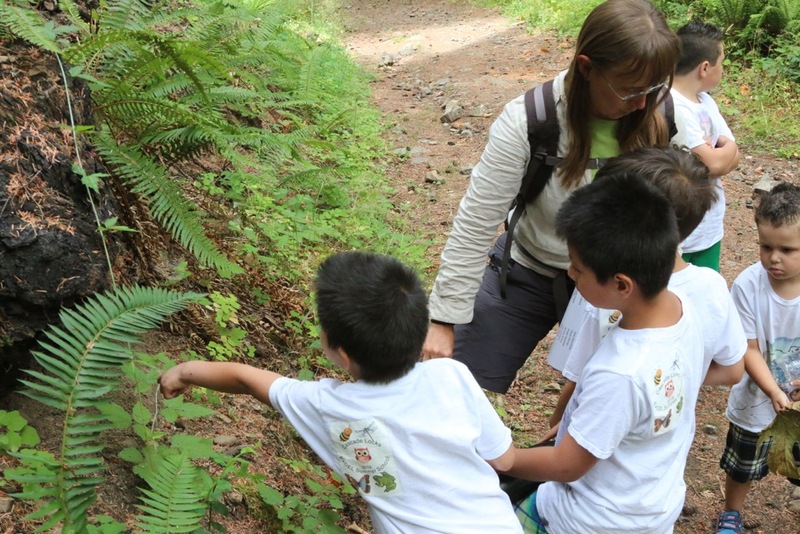 The children saw charcoal landscapes and new growth in the emerging forest, collected pine cones and dipped their toes in a cool creek. Hopefully, seeing wildflowers and ferns growing from singed soils and hearing the birds sing will ease any stress they might be feeling. Ralph is one of the founding attorneys at the Crag Law Center in Portland, which does legal work on behalf of environmental advocates and nonprofits, among others. (Full disclosure: Crag has worked on behalf of the PCTA.) He’s been devoting a lot of his time since the fire on public education, working with the media and community groups to change how society views and talks about forest fires. He had a lot of fun interacting with the children and getting them excited about what they were seeing and learning. I asked him afterward what the ultimate goal was. Joining Ralph was Brenna Bell, an attorney for BARK, a Portland-based advocacy group that works to protect the Mount Hood National Forest and surrounding landscapes. She spoke at length to the students and asked them about their experiences during the fire. The children were eager to share their stories. 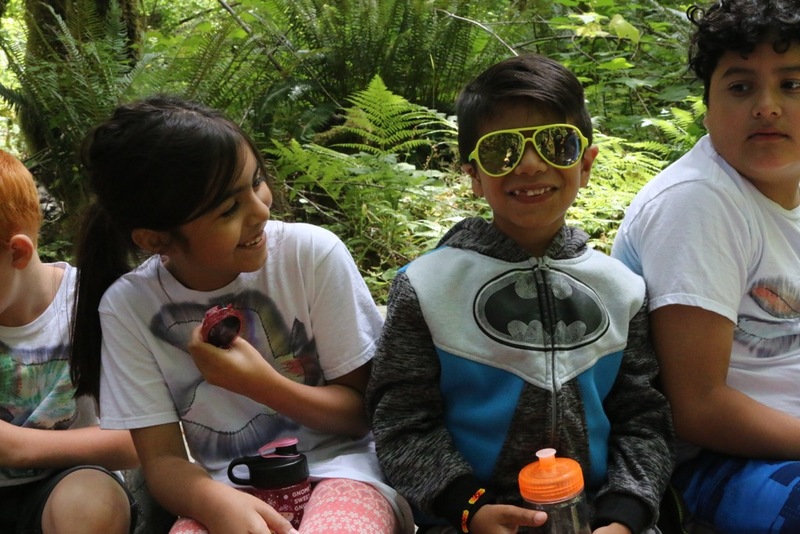 After the classroom session, the children, their teachers and volunteers hiked in small groups up the Dry Creek Trail, which connects Cascade Locks to the PCT. 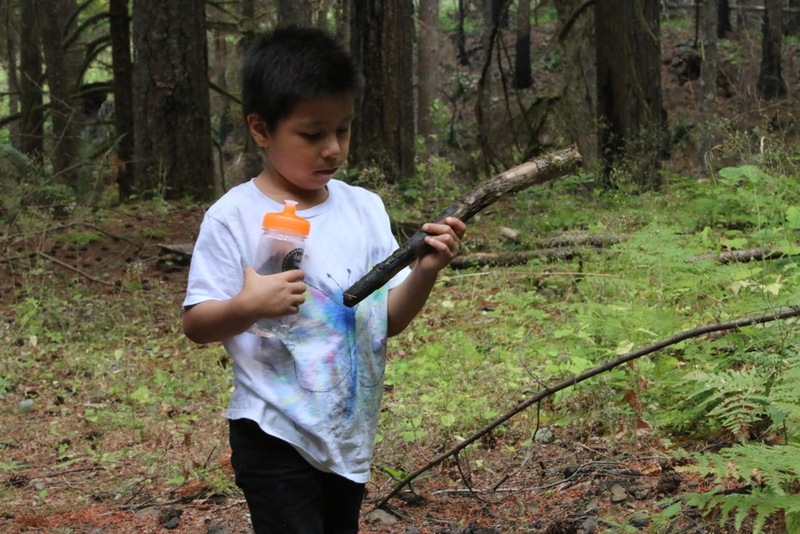 They looked at trees burned at the base that were still thriving and they worked on a scavenger hunt that included things like wildflowers, pine cones, signs of woodpeckers and plants that grow back from their base. They looked for signs of the fire and talked about how it changed the landscape — and how the landscape is always changing.